Develop the perfect content for your team. Your team is spread out across the country. Time zones are in constant conflict. Training sessions get rescheduled. You’re wondering if people have the most updated documents. Something’s got to change. And relocating everyone isn’t going to happen. Time to get the right content, in front of the right people, at the right time. But what type of content makes sense for you? 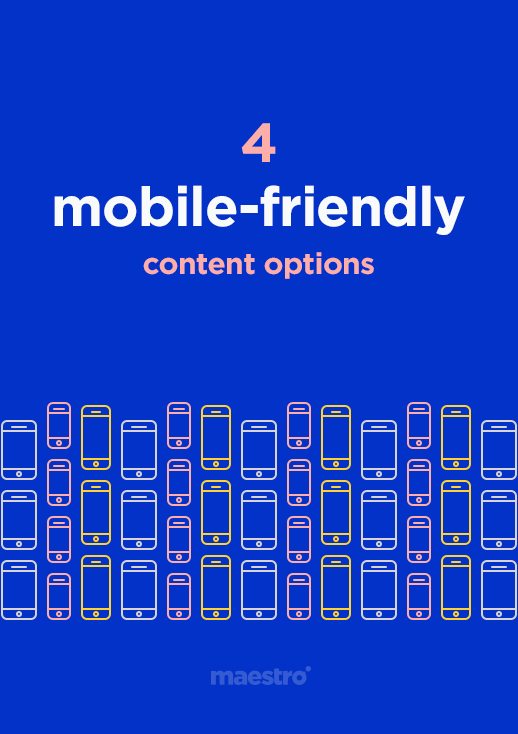 It’s time to optimize your mobile strategy and create the content that’s just right for your team.